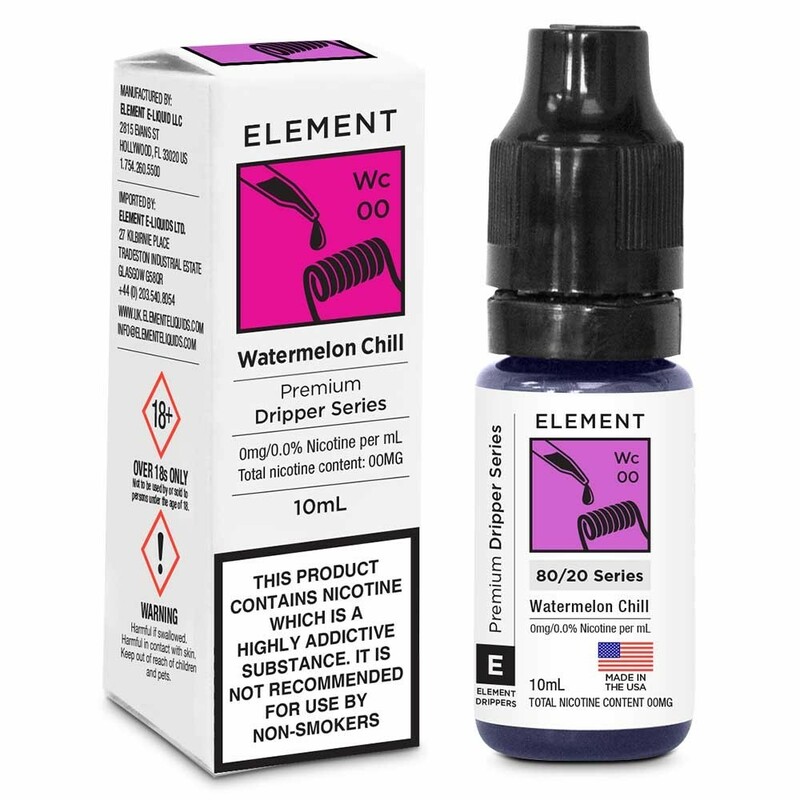 From Element’s Premium Dripper Series of e-liquids comes a refreshing blend of mint and watermelon flavours in the form of Watermelon Chill. Element Premium Dripper Series e-liquids are specially formulated with a higher concentration of VG and less nicotine to produce the purest, densest clouds possible! Ideal for 'sub-ohm' vaping and for use with mechanical mods and drippers.